There are many skills you need as an author. An eye for plot, a sense of empathy for good characters. Nerves of steel to withstand criticism and bad reviews. But one of the best skills a new author can hone is the ability to lend a critical eye to their own work. 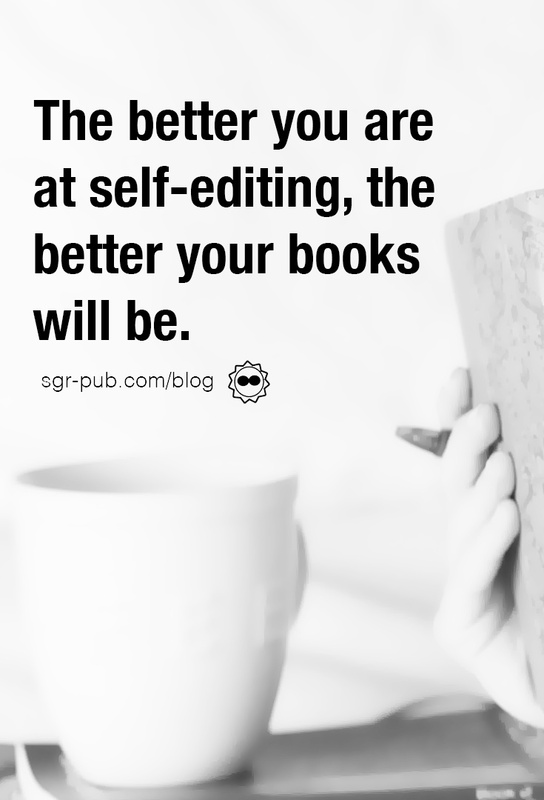 In today’s blog, we’ll share our tips on how to self-edit your manuscript. The first step for any author is to know thyself. Or, really, know thyself at the present moment. Authors are creative creatures. We’ve found that no matter how similar a book, drafting rarely happens the same way twice. There are a thousand variables in your life, from kids and career to the weather and alignment of the moon. Depending on these variables, your mood will change. When and where you should start that all-important self-editing should too. For example, if you are trying to draft a book in the midst of renovating a house, running two businesses, and having to deal with obligations around friends, family, and kids, you may want to just draft, draft, draft without any consideration for self-editing. We’ve had moments where we stare at whole sections of words, knowing they have to go, but not wanting to fall backward in our word count goals. And then we get stuck. Many new authors believe that there’s only one way to write a book. They get so wrapped up in what they should be doing that they forget the first rule of writing: There are no rules. Knowing your own threshold is the first step to success. Generally, our drafting process works with both self-editing and drafting (depending on the mood). At the end of three months, we get a “first” draft, which usually pretty nearly is what the final book looks like. Depending on your skill level, your first draft may not be close, but that doesn’t matter. As long as you have a book-shaped draft, this tip will apply. Export or email the book to your eReader, find a spot away from your computer, and read your book as a reader would. There are a few reasons why this works. When you put your manuscript in a different platform with a different color scheme and shape, it triggers something in your brain. The book is no longer yours, it’s any other book you picked up off Amazon. And then your writer brain turns into your reader brain and you can become more critical. The trick is not to overthink it. Leave one or two word comments, like “More,” “Confusing,” or our favorite “WTF.” Because you’re reading on a tablet or eReader, you won’t get sucked down a rabbit hole of fixing those issues and can take in the whole draft. Our recommendation is to give your manuscript a few weeks to sit untouched before you give it a read. Or, if your life is fairly hectic and you can’t remember what you had for breakfast, less time is fine. The key is that you’re reading the story with fresh eyes. Scene openings: Is the world adequately described? Dialogue: Is the conversation easy to follow? Is it clear who is speaking? Characters: Are the characters staying true to how they’ve been described? Are they reacting for plot’s sake, or is the plot driving their decisions? Repetition: Has this thought been conveyed before? Because you don’t have to fix errors, simply find them, you can be more honest with yourself on whether something isn’t working. Even if there’s a question, flag it and come back to it. When it’s all done, add in your notes as comments in your manuscript. 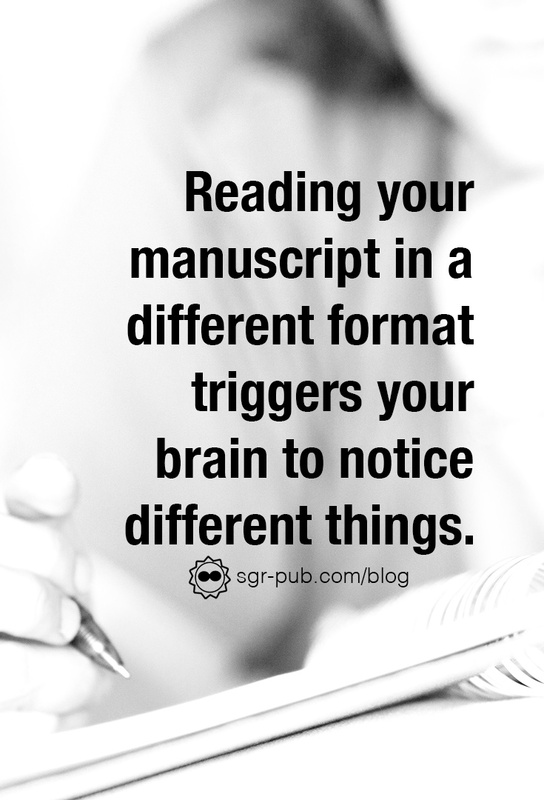 Don’t be worried if there are a lot, or if it seems like your entire manuscript is covered in comments. That’s actually a good thing! It means you’ve got a critical eye for locating problems. Just tackle a few at a time, and you’ll get through them all. Then do the process again and again, until you’ve got something for your beta readers. Why would you go through all this trouble if you’re just going to hire an editor? In the first place, editors are not supposed to be the authors of the book. They are merely there to assist authors in clarifying their vision. If you’re self-published, you are most likely paying your editor. If you truly want to get your money’s worth from that resource, why would you give them sub-par work? Essentially, you’re paying them to flag and fix things you already knew about. If you give them your very best work, they have a chance to elevate it to an even higher level than you could on your own. And who would say no to that? At the end of the day, the better you are at self-editing, the better you’ll be at writing books. This is a skill that comes with practice and time.